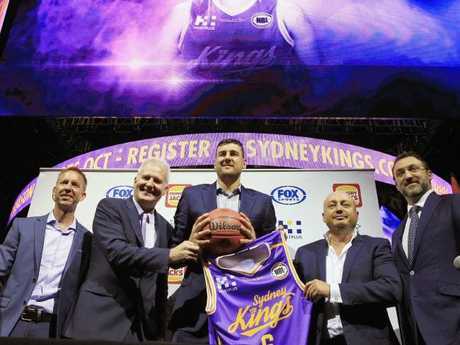 TALKS of a culture change have been the focus of the Sydney Kings' pre-season practices over the past few unsuccessful years, but that goal seems infinitely more attainable entering the 2018-19 NBL campaign. The reason, of course, is because of the acquisition of Andrew Bogut, Australia's most esteemed male basketball player. The NBA champion centre took part in his first practice with the Kings on Monday, and didn't sugar coat the team's history, or what needs to be done for them to earn success in what's becoming an increasingly talented league. "We have got to be competitive practice-wise, because the Sydney Kings have absolutely sucked the last couple of years, to put it bluntly," Bogut said after his first run with the team. "For us to change the culture, we have to go at each other here first." The Kings finished second last in the 2017-18 season, with the only bright spot seeming to be the introduction of dynamic point guard Jerome Randle. 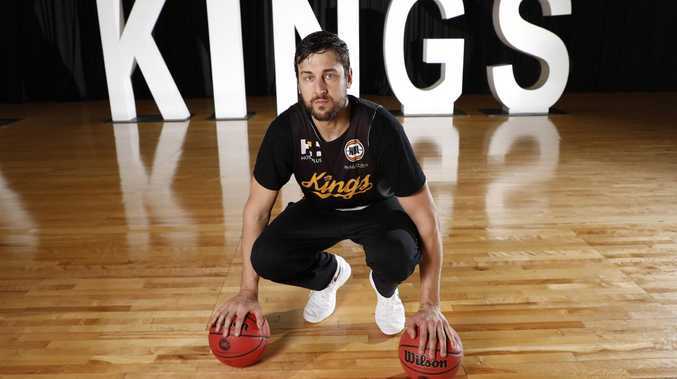 It's been five years since the Kings progressed to the NBL postseason, and the explicit message to head coach Andrew Gaze, as well as managing director,Jeff Van Groningen is that it's 'playoffs-or-bust', so to speak. The NBL welcomes Andrew Bogut to the competition. Bogut echoed that sentiment, when asked what would be considered a successful first season in the league. "Winning a championship," Bogut said. "For us, it's (the only measure of success). "There's eight teams in the NBL; hopefully more coming up. Every team in that league should have a goal of winning a championship, otherwise you shouldn't be competing. You don't come into an NBL season going, 'let's try to get fifth'. "For us, that's the goal. Individual awards, I've learned, whatever they are, they come with success, especially in basketball. If we win a championship, everyone here will get taken care of. if we don't no-one will, and that's the way it should be." 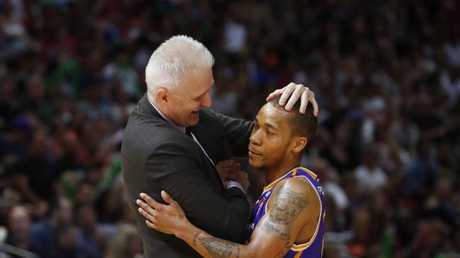 Gaze, who's entering his third season as head coach of the Kings, isn't naive to the reality that's before him. Despite possessing impressive rosters, the Kings have yet to move the needle in the NBL, finishing on the bottom half of the ladder over his two seasons at the helm. Jerome Randle was a bright light for the Kings last season. 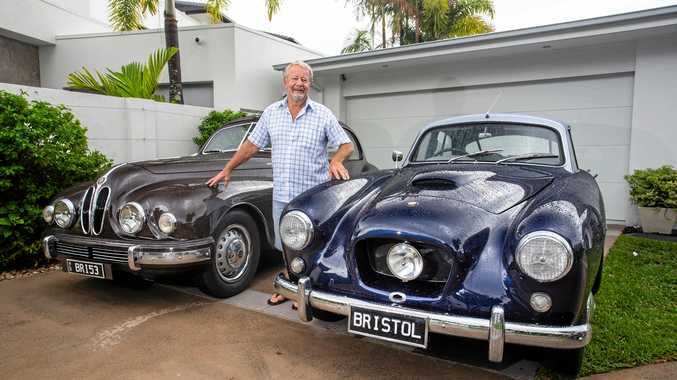 The Australian basketball legend said he's willing to accept the consequences, should history repeat itself. "If we fail here, I'll be looking for alternatives," Gaze said. "There's no doubt about that, and I accept that. We've been handed a very, very good roster, and we've gotta make the most of it. Obviously injuries, there can be circumstances that affect the performance, but we take that as it comes. "Right now, if we don't reach a level of success, then clearly there'll be some doubt about my future here. Absolutely, that's the unfortunate reality of this business we're in." The Kings' first pre-season game is at Sydney University on August 10, against the Japanese national team.